#ExtremeUnboxing: The OnePlus 3T is unboxed in a Fighte Jet. 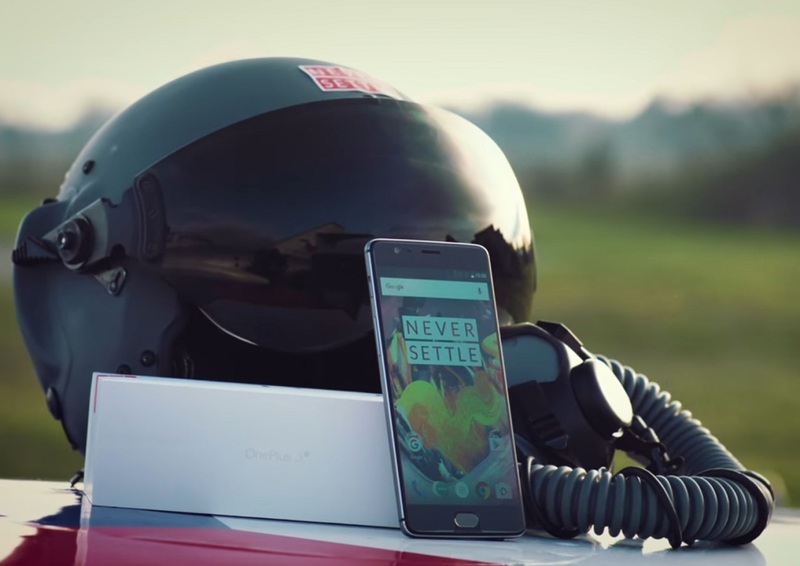 Making an unboxing video at home is boring so OnePlus rented a Fighter Jet and a pilot in Czech Republic and made the video high up in the sky. It may have been even better in VR. The marketing guys at OnePlus decided that unboxing the new OnePlus 3T at home was too boring to go viral on social media so they decided to rent a Fighter Jet and a pilot in Czech Republic and do the video while the jet was high up in the sky. The two minute video is certainly worth watching although it might have been even more impressive in VR. Maybe next time, folks! The OnePlus 3T is available now in the new Gunmetal color option and 64 GB of storage for $439. If you want to get your hands on the 128 GB version you will probably have to wait until after Christmas. OnePlus also announced a Soft Gold version but did not say when it will ship. You can register to receive an email notification if OnePlus is ready for delivery. The OnePlus 3T is a small refresh of the OnePlus 3. For $39 more you get a faster Snapdragon 821 processor and a better 16 megapixel selfie camera.